One of the biggest hits of 1986, Don’t Dream It’s Over is a modern masterpiece from a first rate band that still knows how to rock. Crowded House really hit it home with this one. The song has a poignant aura that is inescapable. It evokes the urge to slow dance, even by oneself, and that melody just won’t quit once it gets in your head. Featured in many motion pictures as an emotional centerpiece, Don’t Dream It’s Over harks back to the big 80’s in a big way. This is a record that most of us played to death, and that radio still spins like it was new. It never gets old or shows its age in the least. 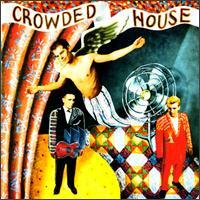 Crowded House still tours and makes audiences rock with this track. I have the feeling this will still be the case in another twenty years. The video is perfect. It gives the sense of loneliness without making the viewer feel maudlin. It delivers the message of hope in a unique way. It just makes you want to watch it again and again.